What Is a Sump Pump and Do I Need One for My Home? If you’ve ever had to call a plumbing contractor, it’s likely that they have made the effort to check your sump pump. This common household feature is often placed in the basement of your home to protect against flooding. Here’s what you should know about this handy tool as a homeowner. As mentioned above, a sump pump is a valuable tool that mitigates the potential for flooding in your home. Countless plumbing companies and home builders will install this tool in the lowest part of your basement to redirect harmful floodwater away from the home’s foundation. A pit rests beneath the sump pump in order to collect water, usually through a series of drains or runoff. The pump will redirect water that enters the pit safely away from your home, thereby keeping your home dry. 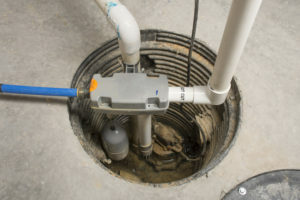 Nearly all homes can benefit from the installation of a sump pump, however, these tools are particularly helpful in wet climates that experience a lot of rain. Areas that experience heavy snowfall and melt will need sump pumps, along with homes located by bodies of water that are prone to flooding. But your home doesn’t even need to experience a flood to take on damage; a humid or moist environment can cause serious — and expensive — damage because of mold and mildew growth. More often than not, your home will need a sump pump. This is especially important if you have a crawl space or basement located below the ground. This area will experience higher levels of moisture than normal. It’s essential that your sump pump works to keep the area dry. If you don’t install a sump pump, you’re putting your home at risk. Flooding can cause thousands of dollars in property damage. High levels of moisture can put the integrity of your home’s structure at risk and cause cracks in your home’s foundation. Whether you’re looking for plumbing repairs or a bathtub replacement, rely on an experienced plumber to check your sump pump as well. After all, the average life expectancy for a sump pump is only 10 years. Are you looking for a great bathroom remodeling or plumbing service? Rely on the experience of HJ Pertzborn Plumbing and Fire Protection. We offer the best in bathtub replacements, emergency plumbing, and fire protection in Madison WI. Contact us today for more information.